Furry animals usually warrant comments like, "aw," "oooh," and "I want one!" The only exception to that rule would be a giant furry spider. For instance, if someone stumbled across a hairy arachnid they wouldn't say "aw," they would say, "ahhhhh" and most likely run in the opposite direction. But is that really fair to spiders? Maybe they'd like to be picked up and cuddled just like puppies and kitties? They can't help that they have eight eyes, eight legs, and the majority of the population finds them creepy, so they're going to need your help in order to change their image. Kids can help people warm up to spiders by wearing this furry spider costume to show them that eight legged insects aren't as scary as most people think. You can be the reason why people see arachnids in a whole new light. Soon everyone will be running to the pet store to adopt a furry spider instead of a furry kitten and it will all be because of you! 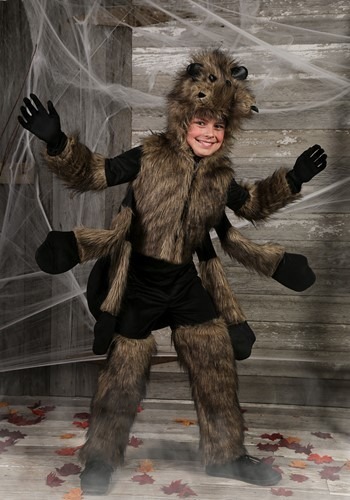 This furry spider costume for kids is a full body costume that will transform young insect lovers into a web-weaving creature. 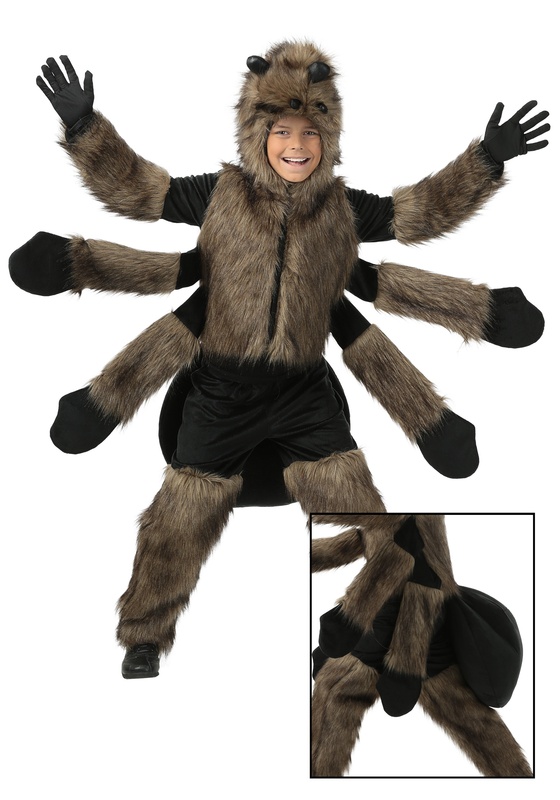 Just zip up the jumpsuit and throw on the fuzzy headpiece and children will transform into an eight-legged insect. There are two arms sewn to the sides and a pouch sewn to the back of the costume so children will have a lifelike spider body. It's the perfect way for little ones to start their crusade to show others that creepy crawlies can be cuddly too!